A few weeks ago I found myself standing on a friend’s doorstep listening to her relate the circumstances of a personal tragedy that had befallen her. My heart ached as I listened. Then, it broke when she asked, “I’ve been trying my whole life to do the right thing. Why is it someone else can do all the wrong things and be happy and I’m miserable?” In the moment I thought to myself, “she’s struggling with the problem of evil, but how do I enumerate the answer in the short form?” In the moment I was at a loss for words. All I could offer was a listening ear, a long hug, and my prayers. But I wanted to do more, I knew I needed to do more. Her question has been bouncing around in my mind but it wasn’t until this morning that I realized that a blog post was the answer. Here I have a forum in which I can speak to my friend and others like her and share what has become a strength in my own testimony. I truly believe that when we understand “the problem of evil” our faith is stronger and able to bare the storms of life more fully. What is “The Problem of Evil”? If God is the loving father that I believe his is, why is their suffering? Why are there wars, murders, plagues, famines, etc if God is omniscient, omnipotent and benevolent? But this doesn’t solve the problem. Many other parts of our doctrine teach the “prosperity gospel” which can be problematic when misapplied. This actually was what my friend was asking about more specifically. This notion comes from the Book of Mormon mostly and has become a constant refrain in Mormon culture. This refrain is found no less then 24 times according to my count. This high frequency alone shows that it’s an important point of doctrine for the Nephite people. Note, that it is almost always used when the author is speaking about the nation as a whole, not an individual. Why is this important? Let me digress for a moment and speak to the nature of covenants. Covenants are often defined as a two way promise between two parties. We need to keep in mind that who those parties are may vary. For example the Mosaic Law was a covenant between God and ancient Israel. Our baptismal covenants, while made by everyone who joins the church, are individual covenants. 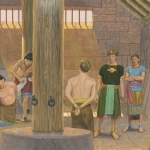 When the Nephite people as a whole worked to keep the commandments we do indeed see them prosper. That doesn’t mean that all individuals were perfectly righteous within the Nephite nation, or that bad things didn’t happen. Still, it just means that they saw the hand of God working to fulfill his promise to their people. One great example of this is the story found in Mosiah 23-24. Because of the varying nature of covenants it can be easy to lump them all together inappropriately. By doing so the same logical fallacy that haunts us in the problem of evil resurfaces in the idea of a personal prosperity gospel. The truth is bad things happen to righteous people and wicked people get away with lying, stealing, and all sorts of wickedness and are very happy in the process. Sadly, no where do the scriptures promise anyone an easy comfortable life free of trials in exchange for obedience. It is also true that God can be loving while simultaneously not removing us from our sufferings. Why? Because only in a world where agency is possible and the opposites of good and evil are played out in every interaction can a personal God meet us where we are. What I mean is, God comforts us, pours his love upon us, and guides us individually throughout all our days, but we tend to notice it more when we are down and out. I have felt the closest to my Savior when I have experienced loss, hardship, and tragedy, not because God authored my pain, but because he carried me though it by his grace. These moments of pain and suffering were also moments of my greatest personal growth. My sorrows forged my bond with God and helped me be willing to move in a new or different direction. They are the foundation of my testimony. They are the punctuation in my life that help me understand where God is trying to take me. My final point is probably the hardest one to accept. God loves sinners. He loves them just as much as he loves the righteous. He has a far better relationship with those that love him, but that doesn’t mean that he ignores or stops blessing those that sin. Christ even commanded us to love them too! So we are going to see good things happen to “bad” people. Why? Because what good parent refuses to reach out to the wayward child in love and compassion? What kind of God would he be if he played favorites, changed the rules arbitrarily, or simply disowned us? He wouldn’t be the God that also forgives, or the God that calls us to leave the ninety and nine to search for one lost sheep. He wouldn’t be the God that granted us the freedom of agency in the first place. The hopeful part is the knowledge that Christ was willing to take all of the suffering, trials, heartaches, sicknesses, pains, and weakness on himself. 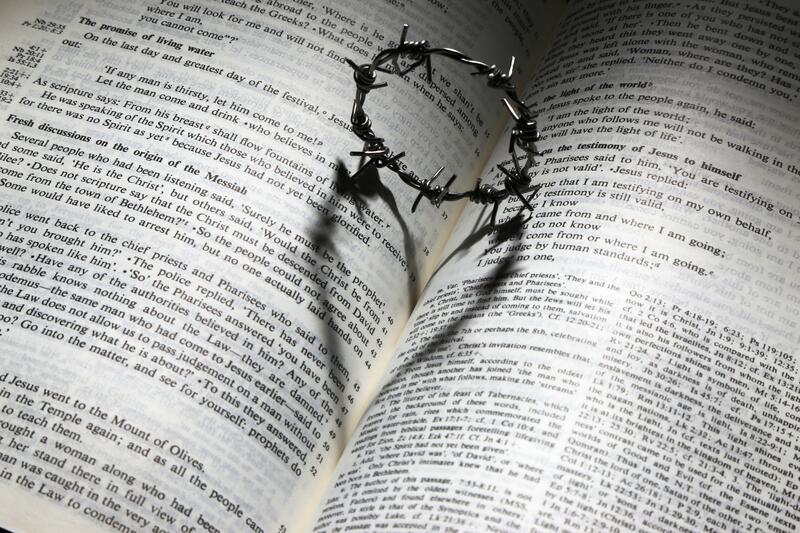 He suffered far more than anyone can imagine and in the process overcame all sin and death. And now he asks that we help relieve suffering when we see it. He asks us to lift, heal, listen, share, and forgive in the small ways according to our capacity. Standing on my friend’s front porch I didn’t have the answer, but I was capable of a listening ear, a long hug, and offering my prayers. When we do this, we find the formula for understanding the problem of evil is living each day with hope and charity. Let me end with a scripture that for me, sums it all up. Thank you Irene. I really enjoy your blog. You and your husband are truly authentic followers of Christ. Keep the faith and keep sharing it to the world.